The Via Aspire Cycling ltd excludes all liability for damage caused directly or indirectly by the use of this bicycle! THE BIKE IS NOT INSURED! Aspire Cycling will not be held liable in any manner for any and all damages, injuries or ANY loss incurred or caused directly or indirectly by the Renter through the use of the bicycle covered by this agreement. The bicycle being rented is NOT insured, with the Renter holding SOLE responsibility for its loss and/or ANY damage that the bike may incur throughout the Rental period. The rider confirms with his signature that he is insured in the event of an accident or is responsible for the costs of the medical treatment himself. The transfer of this bicycle to a third party is prohibited. Transportation of the bicycle is only allowed on a specially equipped bike transportation vehicle. Other means of transportation is prohibited. Damages must be reported immediately. Likewise accidents with third parties, as well as the total loss by accident, embezzlement or theft. Any damages to the bike noted on the return date shall be the responsibility of the renter and the cost of the repairs will be charged directly to the Renter's credit card on file with Aspire Cycling. If the bike is returned before the agreed return date, no refund will be made for the unused rental days. Cancellations with a full refund are allowed up to two weeks prior to the starting date of the rental. A 50% refund will be provided for cancellations made one week prior to the starting date of the rental, otherwise no refund. No-shows or failure to collect the bike by the client will be charged the full amount of the entire rental period. Before the handover of the bike, the tester has to check the condition of the bicycle. Any complaints must be noted in writing in the transfer agreement. By signing the lease agreement, the rider recognizes the proper and non-defective condition of the bike. The rider receives a clean and technically perfect bike for temporary use. The bike should only be stored in a safe place such as the bike storage room at the hotel. THEFT OR DAMAGE INSURANCE IS NOT INCLUDED. 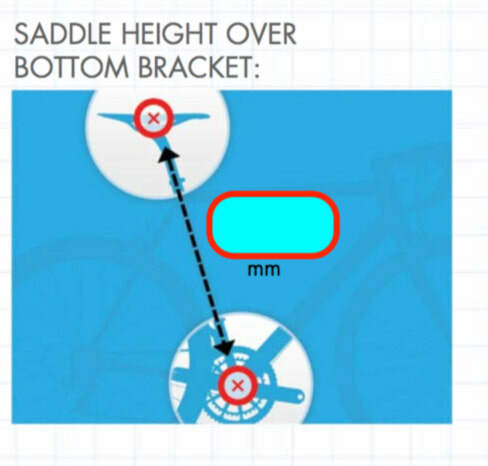 When parking the bike, avoid leaning it on the frame, saddle, brake disc or derailleur, preferably prop it up on a raised pedal or the rear wheel. The bike is provided to the Renter with all accessories listed in this document. If any of these items are not returned at the end of the rental period, the Renter is responsible for the cost of their replacement. If the Renter fails to return the bicycle on the date and time stipulated in this Rental agreement and has not agreed with Aspire Cycling an alternate pick up time and location within 24 hours of the rental end-period stipulated in this Agreement, then Aspire Cycling will report a bike THEFT to the police and charge the Renter’s credit card for the full retail value of the bicycle, along with any other fees due at the termination of the Rental period.